Sellecta Ltd - Builder based in Ilford, Essex. 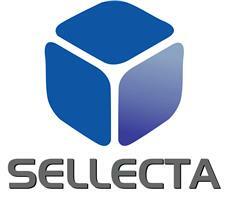 Improving the quality of our clients’ lives is our main target here at Selecta. Building or restoring beautiful residential or commercial premises to the highest possible standard make us proud and happy. We have an established reputation for professional ethics. That’s what makes our clients come back to us. Our skilled and qualified craftsmen, individual approach to every project, and reliability make us the best choice in the trade. Our company is renowned for its high professional standard and excellent quality of work we provide for our clients. Sellecta’s refurbishments service for corporate customers is not an exception. With highly trained and qualified employees and years of experience, we provide achievement of ideas and bring convenience to your doorstep. Our work is constantly monitored and our clients receive regular updates from our dedicated projects managers. Communication with customers is always a key to success, as we have realised over time, so we make sure they are satisfied with the progress. Our friendly teams of experts is always ready to help with advice or suggestion. We project manage the entire refurbishment process, from start to finish. We provide help with design, we outsource materials, and we keep the work going steady so we can finish on time. We work together with our clients, always ready to discuss and accommodate any change should they wish to make any. We pride ourselves on our work and would not consider a project complete if you are not completely satisfied with the result. We are always straightforward about what we can do for our clients, and our work is completed on time. Every time.